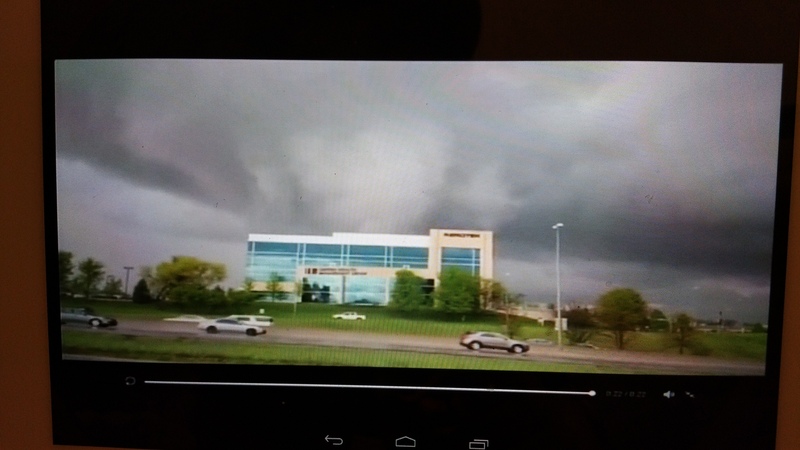 Did you decide to read this post because you thought I’d be talking about tornadoes and earthquakes? That’s incorrect, but this isn’t a trick, so please don’t get mad at me. I do intend to write about natural disasters, but of a different kind.This is about the disaster of “natural” beauty and cosmetics. It’s also about the dangers of trusting beauty products labeled “green,” “natural,” or “organic.” This is also about doing your due diligence before dropping a single more cent on beauty items. And this is about why you should never be complacent with your products when you could be missing out on something much better. (Really, a justification to shop, folks!). There was a time not too long ago when I would have told you to only shop luxe for the most on trend, best quality cosmetics, and only shop natural brands for the most reliably skin friendly cosmetics (BTW I’m NOT talking about home fragrance in this discussion — I still vehemently believe you get what you pay for in the candle and fragrance arenas). But I’ve been paying a lot of attention to makeup and skincare as I’ve shopped my way through my adult life. I’ve concluded that I cannot trust the quality of, or ingredients in, any cosmetics based on price, brand name, or past experience alone. I actually have to (re-)assess each product before I purchase or re-purchase it. I’ve found that there are surprises left and right when I read ingredients. Women looking for the best products now-a-days should be shopping and on the look out for products as much at Walmart as at Whole Foods, Sephora, and Neiman Marcus. (By the way, if you see a lady inspecting every single product in the cosmetic aisles of your local Walmart or Target, it could be me. I’m a sucker for the beauty department of any store.) My experience has taught me that higher end cosmetics are no more likely to fall within my rules for cosmetics than are the cheap ones. But that is based on my rules. Have you figured out what yours are yet? Define Your Rules – What Do You Consider “Natural”? NO Gluten – Hydrolyzed Wheat Protein/Gluten (“HWP/G”), Wheat extract, Barley or its extract, sometimes “cereals” or extracts, are the big ones – Let me get very real about this: even as someone with Celiac Disease, I don’t insist that my cosmetics be certified gluten free. 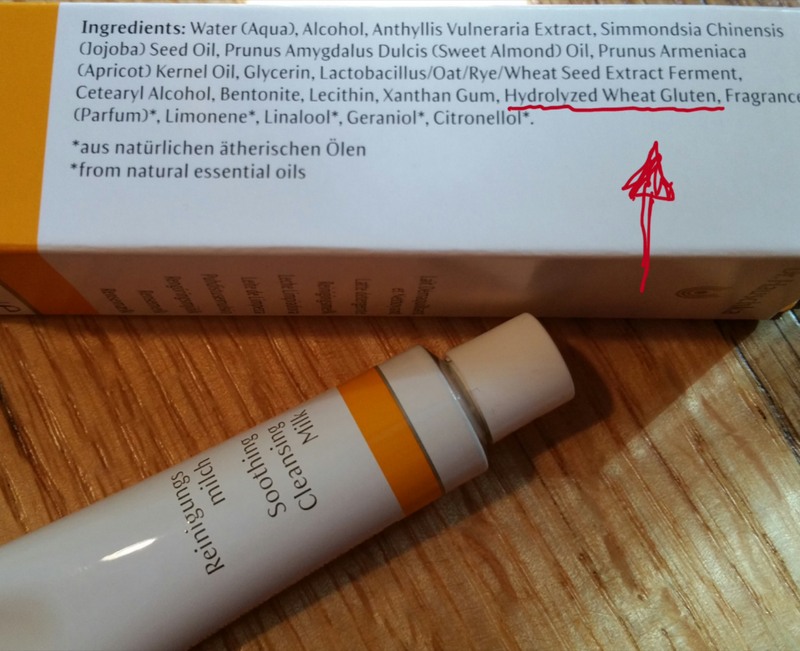 If the ingredients themselves are gluten free (like minerals) and there is zero chance the cosmetics are made in a bread factory, alongside barley mill, or on a threshing machine, then I feel ok.
NO Petroleum (mineral oil, petrolatum, paraffin)* – Ironically, many products for sensitive skin and dry skin will contain petroleum. I do think petroleum is a great hypoallergenic ingredient and has its place in some products for super sensitive skin, but it also suffocates skin and pores. It’s a barrier that tricks you into thinking its a moisturizer. These days all high end and luxe brands should be able to find an alternative to petroleum – end of story. There is no need to use mineral oil in a $60 body lotion or a $35 lip balm. I am not paying for it! * There are exceptions and exemptions to every rule. I know that my favorite mascara(s) contain paraffin. I’ve done some research, and it’s tough to find a decent one without paraffin. But that is for another post…. No Sulfates – I avoid sulfates for two basic reasons. 1. I think I’m allergic, or at least, sensitive to them. I must use a sulfate free toothpaste because if I don’t I suffer from bad cracks in my lips. 2. I use keratin in my hair and sulfates should be avoided in hair products in that case. So I just look for all my cosmetics to be sulfate free. No Formaldehyde – I am not dead. I don’t need to be preserved. I think that’s enough of a reason. Oh, and it’s carcinogenic. No Parabens – These preservatives have been given so much negative attention that I can’t help but fear them as carcinogenic and hormone disrupting. I will happily change my mind if someone blows the lid off of this and shows they are reasonably safe. The marketplace has become more confusing than ever, and the only way to make intelligent choices is to know what you’re doing. For example, did you know P&G owns SK-II, that Estee Lauder owns a quadrillion beauty brands (a bit exaggerated but you understand), that many of the brands you thought were controlled by the original creators (Burt’s Bees back when) are probably owned by a conglomerate, and that the same facilities could be producing products ending up in an Equate (Walmart) brand package as well as in the high-end-department-store-only brand package? Does this matter? For me, it’s not so much a deterrent as an interesting fact. I still love my Bobbi Brown regardless of the fact that Estee Lauder owns it, but I still read the ingredients on my Bobbi purchases. But what and who do you want to give your money to? And how do you decide? It’s so overwhelming to consumers that some women (and men) have totally ditched the beauty counters in favor of buying bulk glycerin, beeswax, Shea butter, essential oil, etc., and just doing their own “cooking.” These people have launched a thousand new upstart and fringe brands and are successfully addressing what the big brands aren’t. So when you realize you’ve been paying good money for something full of mineral oil, that’s when things are out of control. And that’s when I’d rather try an upstart and unknown brand, if it’s ingredient lists are good, than pay $20 for Vaseline. Unless you were planning to just abandon hope and make your own cosmetics, here is what you (and I) should do: Do not pass go if you don’t know the ingredients. You cannot be informed about what you’re buying otherwise. If the ingredients in a product are not readily and reliably available for you to read pre-purchase, then move on. You have choices. You can buy from brands that offer transparency. I’m NOT saying the Feds should force the conspicuous disclosure of cosmetic ingredients. In fact, over-regulation is fraught with so many problems already. Government, you can stay out. Consumers and their dollars realistically control manufacturers and retailers on their own. By the way, if you’re playing devil’s advocate and thinking that many brands have “secret formulas” they’re afraid to show, here is why that should not be an issue: A list of ingredients does not divulge trade secret manufacturing methods or key proportions of ingredients. Think about how tough it is to bake a soufflé, even if the ingredient list is simple. How many eggs do you need and what methods of heat application do you use? It’s similar in the cosmetic world. Ingredients can be listed out in a way that makes the brand chemists, CFOs, and investors, as happy as the consumers. I almost used Dr. Hauschka Soothing Cleansing Milk. 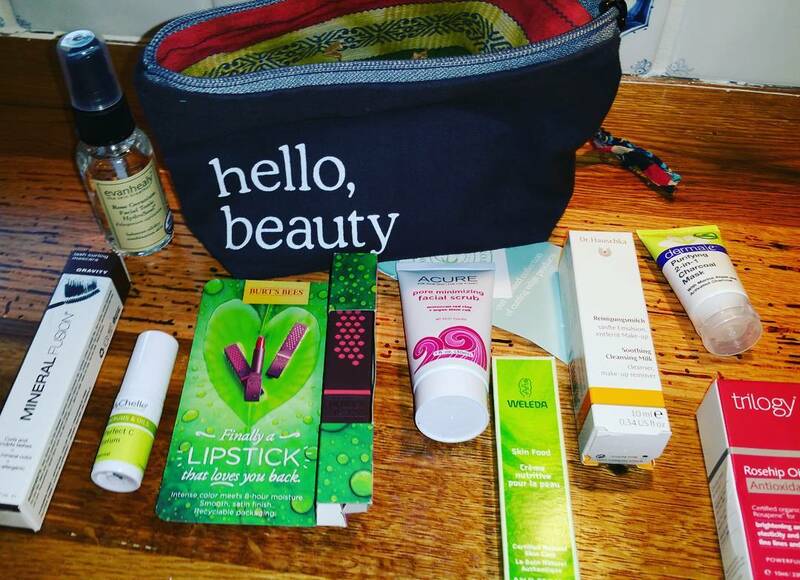 I was excited to try the Dr. Hauschka product in the most recent Whole Foods Beauty Bag. I was in the bathroom about to use the cleanser, when something made me stop in my tracks: Gluten. The ingredients list contains two potentially concerning ingredients: Fermented Grain Extract and Hydrolyzed Wheat Gluten (“HGW”). Upon closer inspection I would not worry so much about the Fermented Grain Extract (I currently buy into the theory that fermenting and distilling processes remove gluten). But the HWG is a big problem. And, wow. This is all so ironic. Dr. Hauschka was the brand I went to when my skin had a nervous breakdown in law school and I couldn’t’t use any products I owned. I loved Dr. H back then! It was a running joke within my family that a beauty fanatic like me was using “granola” makeup and skincare! I thought Dr. H could do no wrong. And that still may be true. If you don’t have Celiac Disease, that is. (I didn’t know I had Celiac Disease until years after after law school). I had no idea Maybelline made products I genuinely wanted to use. I recently posted about my summer beauty finds (here). Maybelline Dream BB Fresh Titanium Dioxide SPF 30 is one of them. This product isn’t marketed as “Natural” in the slightest. It was only by chance, and having a coupon, that I even got down and dirty in the Maybelline aisle. But it turns out the BB cream meets my rules. Love it! Whole Foods’ Cosmetic Section boasts products I don’t want to use (Ingredient-Wise) and Doesn’t Have What I Need! Anyway, I asked her if she had any new mineral sunscreen lip makeup products (emphasis on makeup – didn’t want just a basic balm WF always has in those little baskets). The sales lady didn’t know of anything off hand to fit my needs, so we both kind of browsed the makeup and read ingredients together. It turns out that there wasn’t even a single makeup brand with a lip gloss or tinted balm with mineral sunscreen, that was worth a darn. We saw one tinted balm with an SPF 9 or something but it wasn’t worth the price, plus mint oil was high on the ingredient list. Luckily for me, while checking out my May Birchbox preview, I stumbled upon a product from Coola that looks promising as a mineral spf lip product. I will be reviewing it in the coming weeks once it’s in my hands, along with Jane Iredale Lip Drinkand Perricone No Lipstick Lipstick. Oh, in case you’re wondering, I bought a Mineral Fusion Nail Polish in Grotto and a sulfate free shampoo from Andalou Naturals on that trip to WF! The Whole Foods experience really hit things home for me. I realized I had to write this post. In the end we must be vigilant about reading packaging and ingredients. But even that doesn’t help if you don’t first educate yourself about what things you do and do not want in your products — You need your own set of rules. I hope this was helpful to other beauty lovers out there! Please engage with comments, questions, or suggestions!